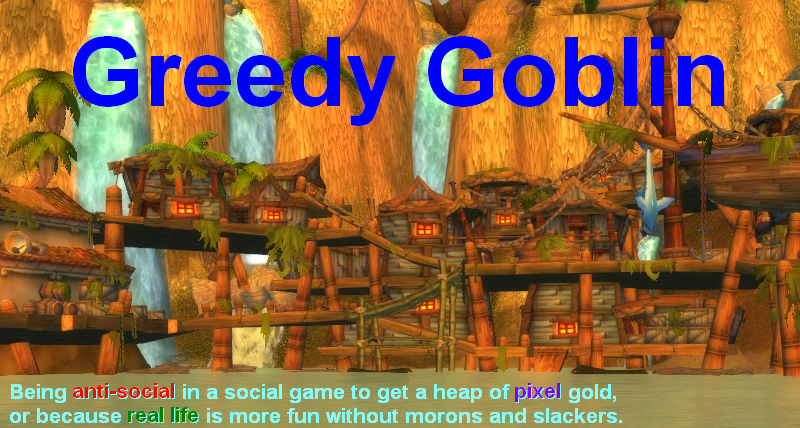 Greedy goblin: Business post: it's just one (two) item(s)! Business post: it's just one (two) item(s)! You often see something like this before updating orders: Only a handful items stand above your larger stack. Modifying the price of that large stack means giving up lots of money. For example by cutting the price by my usual 2-3%, I give up on 60-90M profit. It's easier to buy the other two out, or just let them be. That's a very bad idea. First, because if you (or someone else) buys it out, another one appears in few seconds. Botters and nolifers often list just one item to be ignored, but ready to post another instantly. But even if it's just a solo sell order of some random guy who won't log in this week, you must remember that you don't see your competing orders, because those were already filled, you see those what failed to sell. To prevent others from selling in your stead, cut, cut, cut! In this case, I buy the Dread skillbooks from NPCs in their proper space, the Gallente ones were coming from Balle. I paid 100M for each, so I make profit even if I sell for 103M. So selling for 114 is still over 10% profit. By the way, why no one else is selling dreadnought skillbooks in Jita? They sell pretty fast. PS: hey look! Goons won on X-7OMU once after all. While I see some disparity in fleet strengths, a win is a win! Too bad that the ISK damage is only half of the battle of EC-P8R where MoA won. It's only a profit at 103m if your time is worthless. What time? That two clicks to set the price? Or that little more to dock and pick them up? That's sunk cost already. Now I can decide to list for 103M and sell or more and not sell. Why do people buy skill books in Jita anyway if they could buy it for base price in the proper space? Sounds illogical to me. That can be just convenience. Minmatar space is a bit far for just one skillbook. I used to sell Dread books but now I don't log in much and when I do I mostly just buy and sell PLEX. Oddly enough a little PLEX business at very low profit margins plus inflation on a few hundred billion worth of other stock is enough to keep my wealth growing (albeit more slowly than when I logged in daily and dealt in hundreds of items) and keep 12 accounts subscribed. A business post! Very good! I am actually a fan of your Grr Goon campaign (yes, I have donated to the MoA Donation Board, thank you) - but I initially came for your business ideas and would love to read more of them. Please keep up at least your business thursdays. "I paid 100M for each, so I make profit even if I sell for 103M." How much profit, after taxes? "2M (0.75% sales tax, 0.2% broker fee)"
On PLEX, I often make less than 10 million profit per PLEX, but considering PLEX cost more than 10x as much as Dread books, that's less than half the profit margin. Still 10 mil 100x is a billion, I usually average more like 20 mil profit (about the same as you're making on Dread books), it's easy to move 100 PLEX a week.